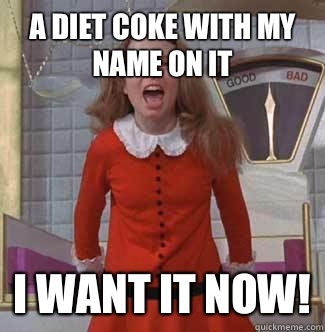 Don't care how I want it NOW! 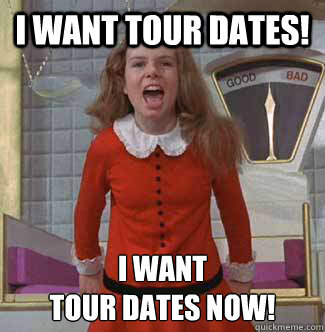 i want tour dates! 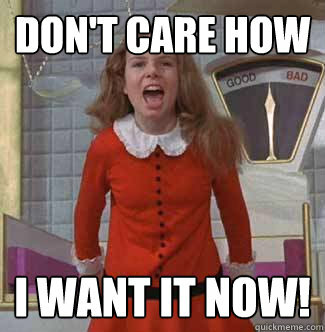 i want tour dates NOW! 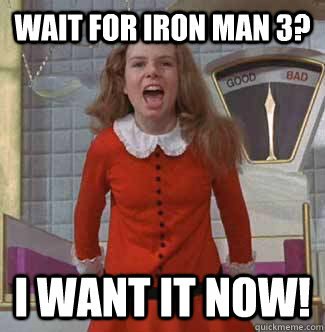 Wait for Iron Man 3? i want it NOW! 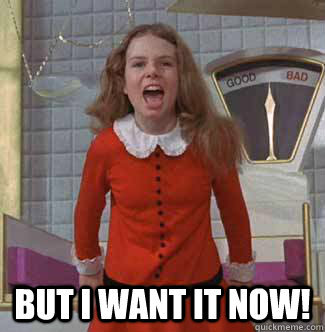 but I want it NOW! 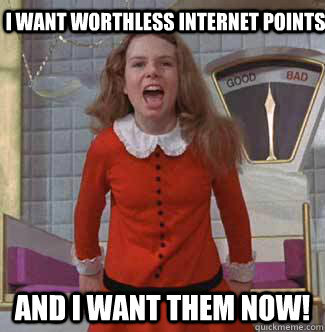 I want worthless internet points and i want them NOW! I want this semester to end. I want it to end NOW! A diet coke with my name on it i want it NOW! 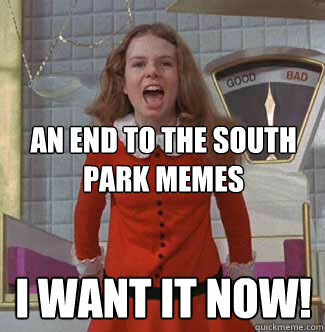 An end to the south park memes I want it now! 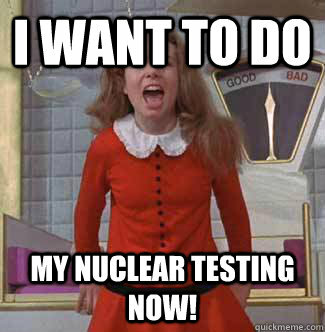 i want to do My nuclear testing NOW!